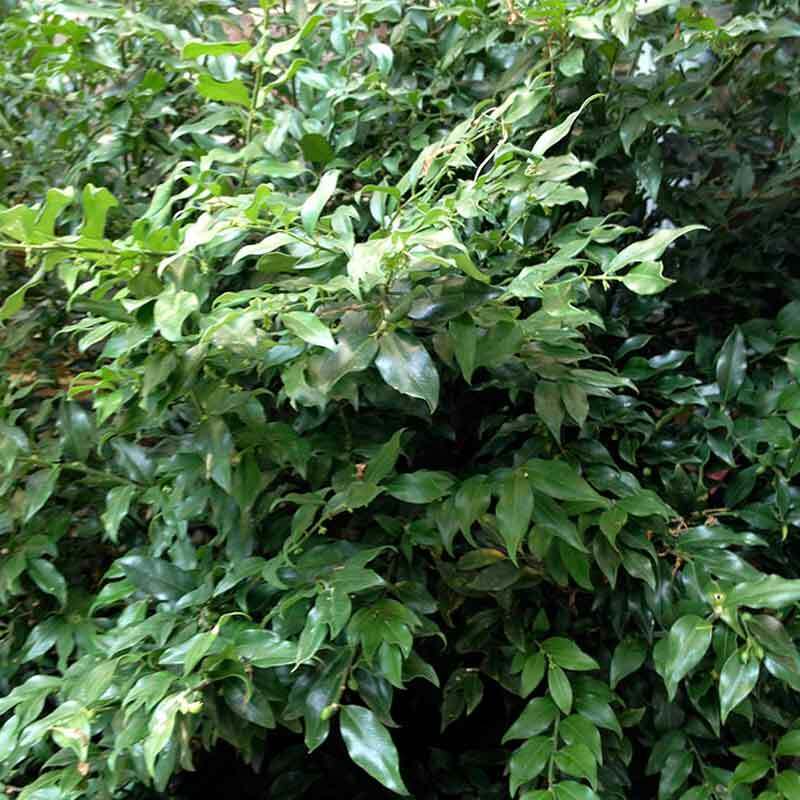 This shrub is one of the toughest and most attractive evergreens for the shade garden. It has upright, slightly arching green stems with evergreen glossy foliage that looks great year round. Fragrant small white flowers bloom late winter/very early spring. Often planted near entryways to enjoy the fragrance. Cut a few branches for a sweet-smelling house. Full-part shade. Height and spread 3-5′. Trim to desired shape or allow it to grow free form. Average to moist soils. Deer resistant. Berries are toxic if eaten. Zones 6-9.